MID-ATLANTIC AIR MUSEUM - CUSTER "CHANNEL WING"
Called "the father of STOL (Short Take Off and Landing) aircraft", Willard R. Custer worked for nearly 40 years to see Custer Channel Wing Corporation's serial #1 CCW-5 (5 for five passenger) become a reality. Custer's approach was based on the idea that it is the speed of the air over the wing, and not the wing through the air, which generates lift. 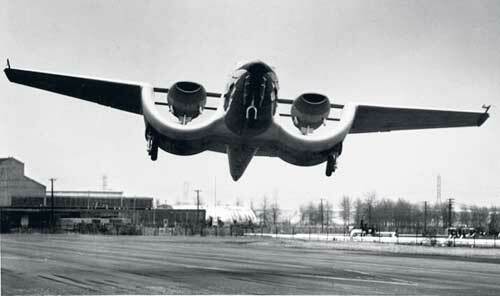 In the channel wing, air pulled through the wing by the props combined with forward motion generated double the lift of a standard wing design, giving the aircraft very short takeoff and landing roll. 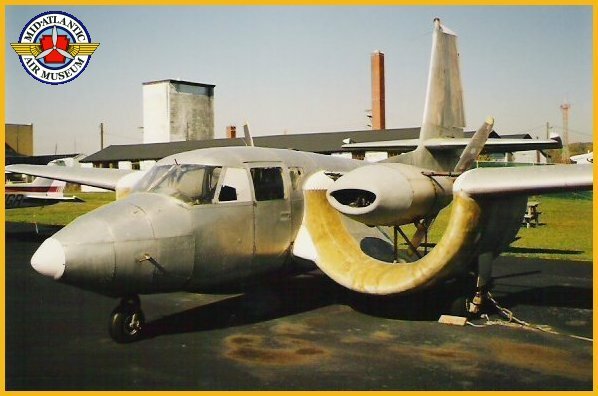 Unfortunately, lack of financial support prevented further development of the concept, and only CCW-5, undergoing restoration at the Mid-Atlantic Air Museum, and CCW-1, in the Smithsonian National Air & Space Museum's collection, survive. 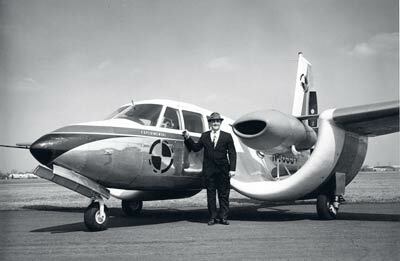 Custer sued Fairchild Republic claiming that the placement of the podded engines on the A-10 Thunderbolt II infringed on his patents, but he lost the case. 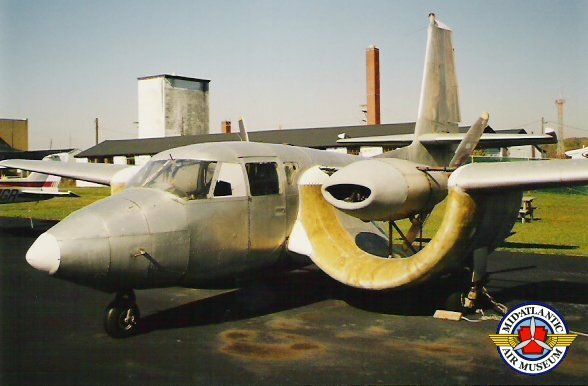 Although Willard Custer passed away in 1985, his son Harold has continued work on the concept and remains optimistic that the channel wing will return.